Over the weekend we sent six sailors to Bristol, Rhode Island to compete in the Friis Team Race hosted by Roger Williams University. On Saturday morning a light Northwesterly wind oscillated between the West and the North for the majority of the day. In the afternoon races were canceled due to the lack of wind. That night the team cheered on their fellow Wolverines as the basketball team made it to the Final Four. Sunday was a cold day for sailing. The mid to high teens Northerly breeze brought in the occasional snow flurries. Overall, the team learned a lot this weekend sailing against some of the top teams in the country. 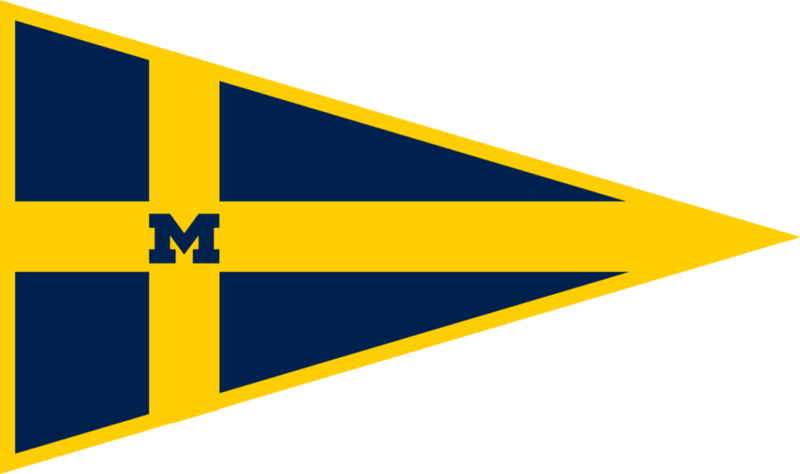 The competition was steep but with it brought lessons that our sailors will bring back to Ann Arbor. We are excited to continue practicing our team race strategy. We are so thankful for our hosts, who took in our sailors pretty last minute. We wouldn't be able to compete all over the country without them! Go Blue!